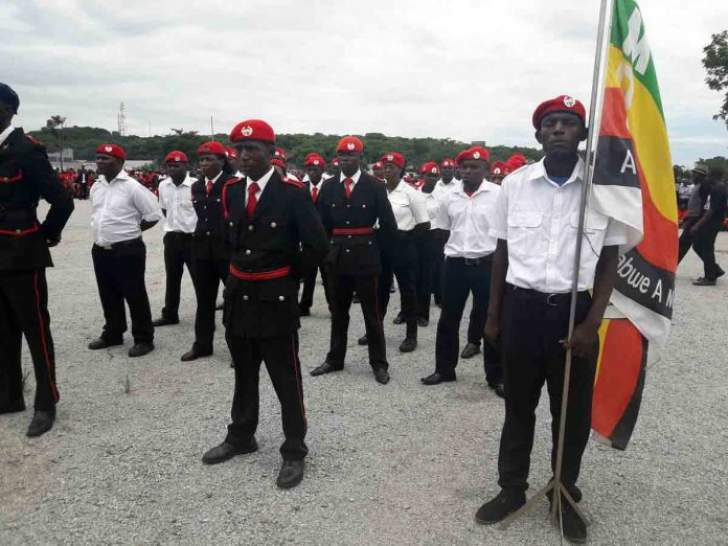 The MDC categorically states that there is no outfit called Vanguard, an otherwise peaceful and disciplined team of MDC youths, which has since been disbanded on the orders of the national council, the party"s Supreme decision-making body in between Congresses. As the MDC Youth assembly we note with serious concern the attempt by the police and the military to arrogate responsibility of the August 1 shootings to a non-existent peaceful outfit which was disbanded soon after the unfortunate incidences in Buhera at the burial of our late iconic Leader Dr Morgan Tsvangirai. The Vanguard was a team of youths that went about peaceful drills at party events but was misinterpreted by political detractors as a violent outfit. On the orders of the party leadership, the Vanguard was disbanded. What is missed is that the Vanguard was not a terrorist or military term but rather it is leftist diction that refers to ideologically correct party cadres. In any case, the Vanguard was not an armed outfit. Guns are not sold over the counter in this country. Harare is an MDC territory and it defies logic to say the MDC could have shot people in a zone that it controls. This does not make sense. The MDC believes in the rule of law. If it were true that it was the MDC that had gunned down people, why would it wait for three months for senior police and military officers to soil the image of the MDC youths before a Commission of Inquiry without effecting any arrest. The Commission of inquiry was set up on August 29 four weeks after the killings and no one has been arrested. Why would the law enforcement agencies not effect any arrest only to rant before a Commission three and half months later? We are disturbed that yesterday"s rantings by the police and military leadership before the Commission may be a precursor to a hatchet job to plant guns or military arsenal at Morgan Richard Tsvangirai House or at the houses of some in the MDC leadership. It has happened before and innocent party cadres were arrested and spent months in prison on trumped-up charges of banditry and terrorism only to be discharged by the courts. The MDC Youth Assembly demands that the perpetrators of the heinous murders be identified and immediately be brought to book. We reiterate our position that those who were in charge of the military can assist the Commission and the nation on what really transpired. The MDC is clean and demands that justice be done. No amount of propaganda will absolve the real culprits who are known and can be identified. The MDC is not a terrorist organization. It is a legitimate political party that is in Parliament and that runs the majority of cities and towns in this country, including Harare where the needless blood was shed in broad daylight. The MDC cannot be in the business of participating in elections and then engaging in terrorist activities. We are a legitimate political movement that carries out legitimate political business. The MDC Youth Assembly wants justice to be done. We are concerned that government state agencies are blaming the shootings on an unarmed MDC youth outfit that has since been disbanded. If anyone had committed the crime in the MDC, they should have been immediately arrested rather than to blame a non-existent outfit before a Commission of inquiry almost four months later.